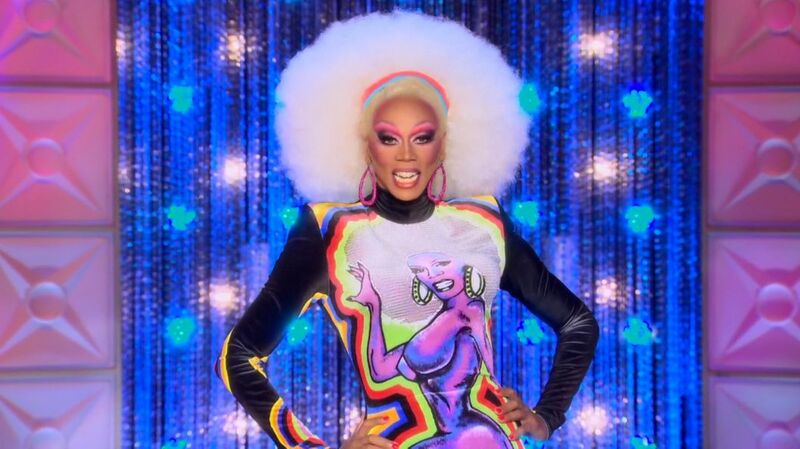 Last night I was watching re-runs of RuPaul’s Drag Race (did you see this look?! Perfect right?!) 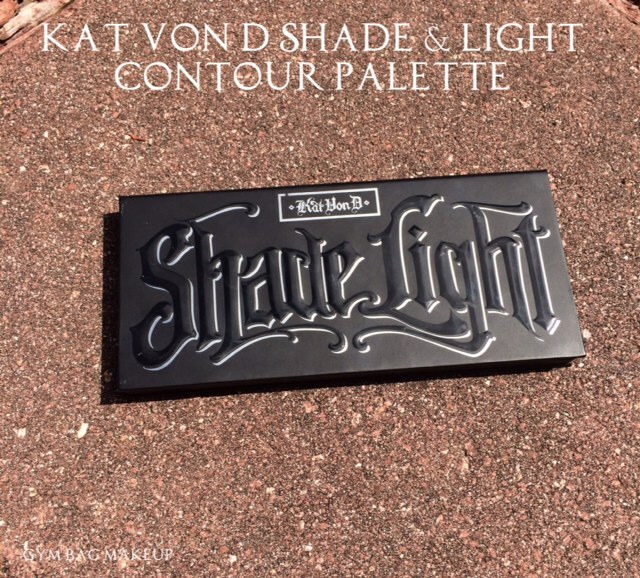 and I decided that today would be the day that I finally hunker down and hash out my thoughts on Kat Von D’s contour palette. On a side note, it seems like full on face contouring has been a thing for a while now and it was getting totally out of control and then all the cosmetic companies finally released contour products and now everyone is totally over it. Which, I mean, thank God, because doing the whole cooking multiple layers of product on your face to get a seriously dramatic contour, is a lot of work yo! On the other hand, I think I’ve done minor “contouring” in my regular makeup for most of my makeup wearing life and I won’t stop AND YOU CAN’T MAKE ME! So just to be clear, when I “contour” I tend to lightly apply contouring products for a really (hopefully) subtle contour. Tally ho! On to the pictures! The palette consists of three highlight shades at .08oz each and three contour shades at .16oz each. 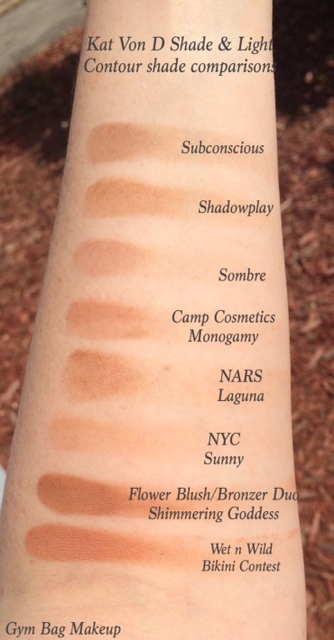 All six shades are matte. 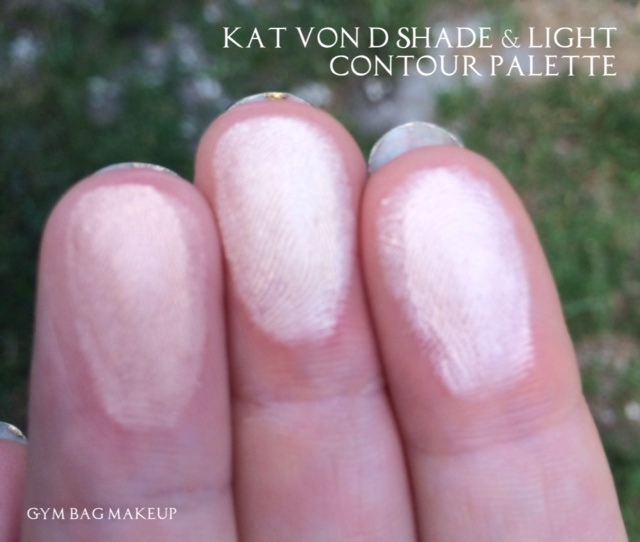 Pigmentation: Very good. It may be difficult to see how pigmented the light shades are because they are similar to my skin tone, but they are indeed equal in pigmentation to the darker shades. Longevity: Honestly, it’s very difficult for me to say. 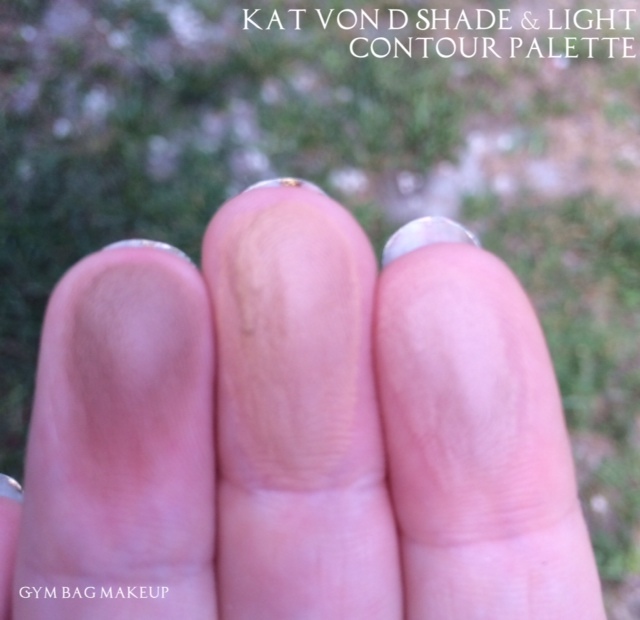 I don’t notice any fading but I only use the contour shades and very lightly at that. Highlight Shades: Let’s get this out of the way, I despise these powders. I cannot for the life of me, make these work for me. If you have suggestions, please let me know! If I apply any of the light shades as highlighter (so on the tops of my cheek bones, my forehead, my jaw etc.) they instantly have an odd texture. It’s like the powder is breaking down as soon as it touches my face. They are patchy, they cling to fine hairs in a very visible manner and if I try to blend them even the tiniest bit, they settle into my pores. Basically it’s a nightmare. I also applied one of these powders over a dry patch of skin and experienced some minor but still noticeable irritation and itching. So that was fun! I didn’t have any reaction over completely healthy skin nor did they break me out, but that little experience made me quite wary of experimenting further with these. 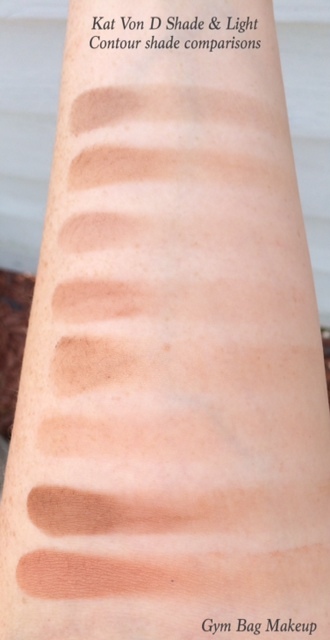 As far as the shade range goes, you can see in the swatches that these shades are just slightly lighter than my skin tone so if you have very fair skin, these might be too dark to use as a highlight (maybe as an all over face powder?). Alternately, these might be TOO light if you have medium skin and most certainly if you have dark skin. 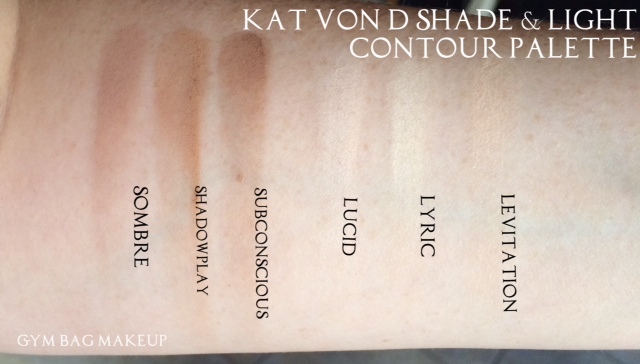 Contour Shades: I quite like these contour powders and have used all three of them on a fairly regular basis over the last couple of months. I would say that these are mostly neutral shades although the center shade (Shadowplay) is decidedly more warm than the other two. While the darkest shade (Subconscious) looks quite dark in the pan, I’ve been using it and thus far, no one has run screaming, or pointed out that I have dirt on my face, so it blends out quite easily. 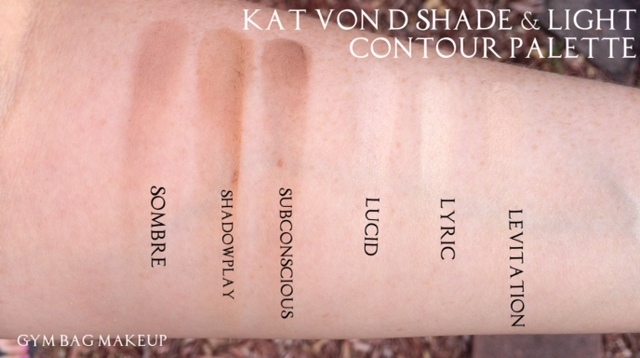 Again, I don’t feel that this shade range is going to work on a wider variety of skin tones (although I think that the contour shades are a bit more diverse than the highlight shades). 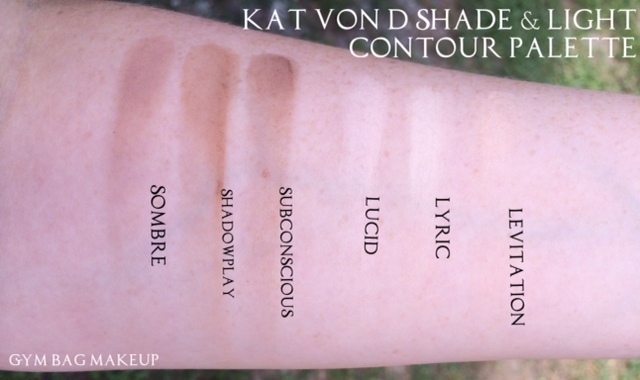 As an average, paleish white chica, this selection of contour shades is totally useable for me, if you are much more fair or much darker than I am, you’re going to have to work a little bit harder to either blend things out or build things up. 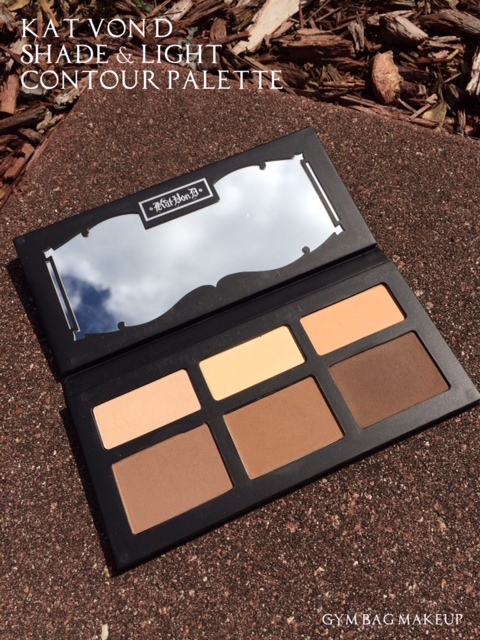 If you like the idea of having a contour palette, this one is fine. I think there are probably other options that are more customizable but this one is fine. I use it quite regularly and I actually do enjoy it! However, there isn’t a single shade in this palette that I will feel the need to repurchase or miss if I ever use this up. 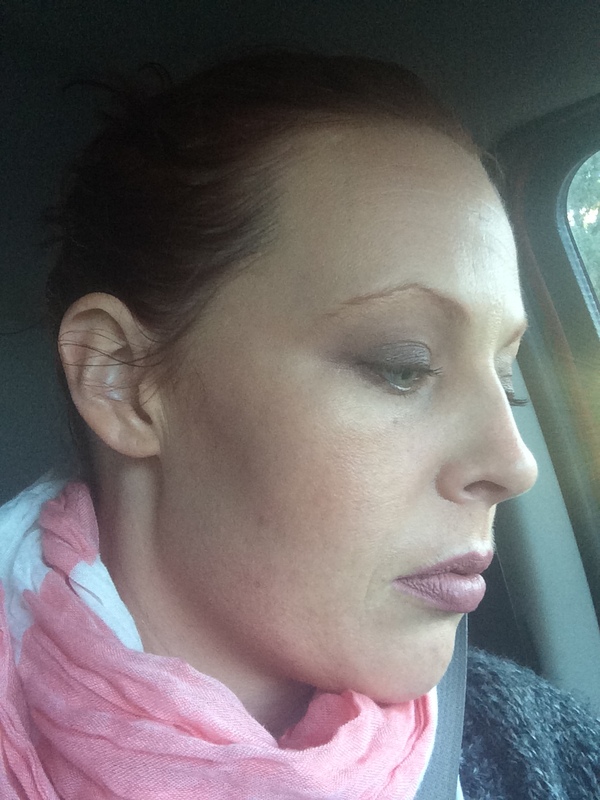 So, are you one of the crowd that is becoming more vocally opposed to contouring? Or do you go full on drag with your contour? What do you use? I’m inclined to agree with you. It got seriously insane there for a while. I’ll always and forever try to minimize my double chin and maximize my cheek bones but I just can’t handle the full on contour on my own face. I personally like a nice subtle contour. I have a fairly round face and I feel a little contouring helps it to not look so chubby lol. I actually tried doing a more dramatic contour not long ago and decided it just wasn’t something for me. Not even a little bit. Yikes! 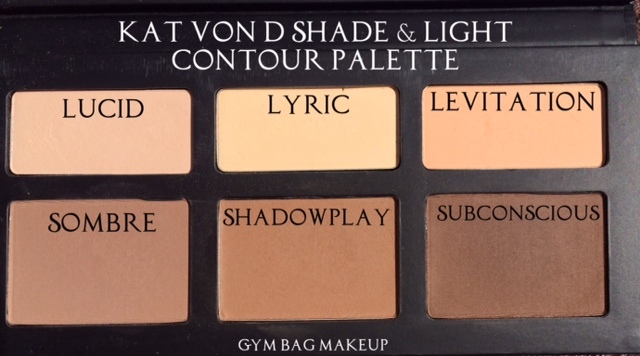 But I do have this palette and use it daily. I feel exactly the same way about contouring! It’s pretty wild how different your face looks with the whole dramatic contour isn’t it? 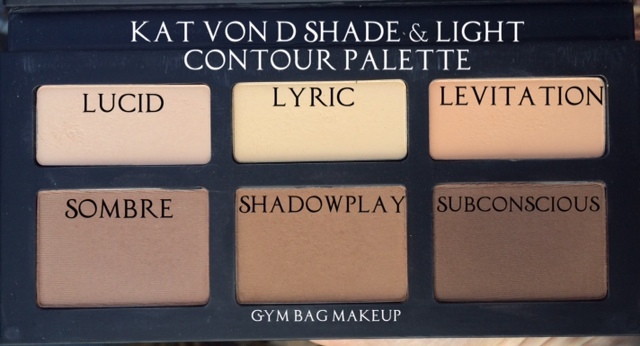 I had the exact same feelings about this palette … I wanted to love it, but just couldn’t find a way to make the colors work for me when I was paler. I also had the same issue with the powders seeming to separate as soon as they touched my skin; best way I found to fix that was setting everything with a translucent powder and making sure everything was REALLY set before applying the palette powders. Great review – I’m glad I wasn’t the only one who felt this way! Ooh thanks for the tip about the translucent powder! I’ll have to try that.